We are happy to welcome Jan from Scrapping Dahlias to the Craft Site Medic website promotion family. Handmade arts and crafts by crafters coast to coast. If you have a Etsy shop, blog or website that is craft related and you would like to self promote for free, this is the place do it. We are not associated with Etsy. This is a free place to advertise your arts and crafts and to find arts and crafts ideas, tutorials, and more! Over the years Craft Site Medic has worked with many Etsy stores to help them improve their search engine keyword position and visitor traffic. It seems that more and more Etsy stores are opening, so we decided it was time to offer Etsy users a custom promotional service complete with search engine optimization, link placement, advertising, and social media marketing. Next week we plan to begin offering this unique service. We will have a new page on our Craft Site Medic website just for the new marketing service. If you (or a friend) uses Etsy, we invite you to check out the details. 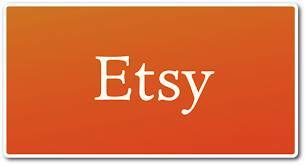 We would also love to hear from you if there are any special services Etsy users would like to see. Watch for out grand opening announcement here, on our Facebook page, and on out Twitter page.